Sebastian River High School rowing team will host a golf cart raffle on Sunday at the Tiki Bar & Grill in Sebastian, Florida. 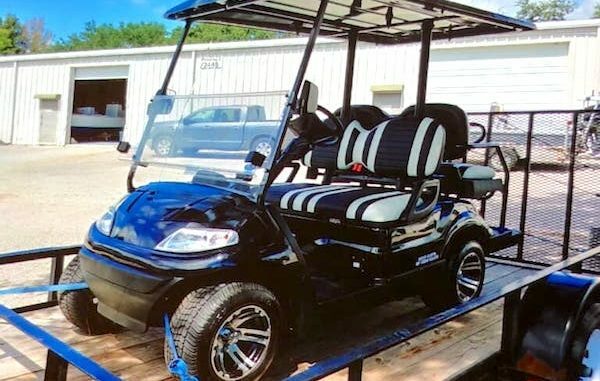 SEBASTIAN – The Sebastian River High School Crew will host a golf cart raffle on Sunday at the Tiki Bar & Grill from 2-6 p.m., as well as Monday and Thursday night. “It’s a 2018 golf cart raffle. Tickets are $25 each,” Patrice Campbell told Sebastian Daily. 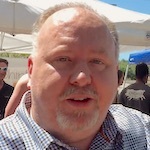 The golf cart is a new 2018 custom street ready vehicle. Proceeds from the ticket sales will go to the Sebastian High School Crew. The SRHS Crew has excelled in these past years winning two State Championships, qualifying for Nationals for the past five years, participating at Nationals three times, according to the Sebastian River Crew’s website. Rowing is an expensive sport, and the crew hosts fundraisers like the one on Sunday to meet their financial needs. Tiki Bar & Grill is located at 1109 Indian River Drive in Sebastian.